I love getting tortilla chips at restaurants. They are irresistable with fresh salsa. Somehow store-bought chips don't come close. I always felt like they were too thick. Of course I could make my own tortilla chips but there isn't always time for that. 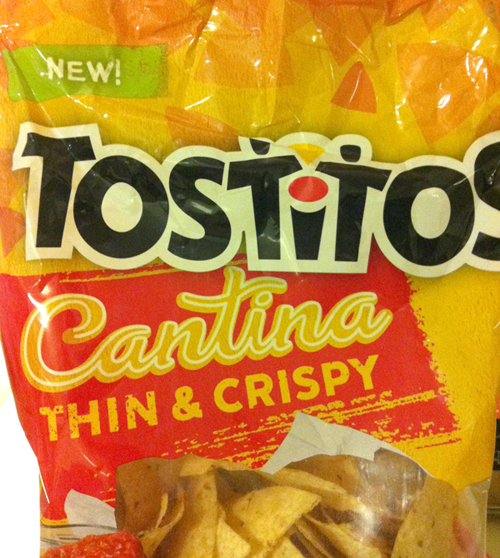 This week at Wegmans I spotted these Tostitios Cantina Thin and Crispy chips. They are the closest to handmade chips I have had. Great with guacamole! On The Border brand cantina thins are amazing! I have never tried your brand but tried every other kind looking for thin restaurant style and found them with OTB, try em if you can.